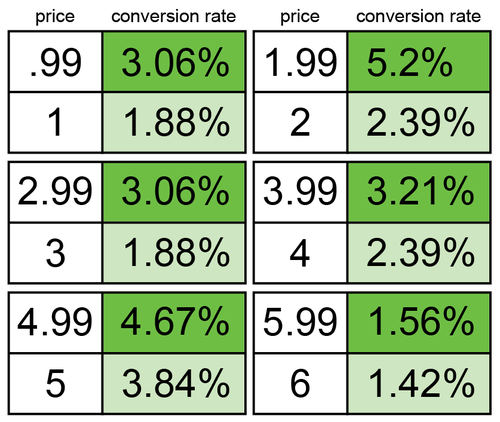 Prices ending in ".99" had noticeably better conversion rates — as much as +117% better in one case. "Across the board, prices ending in .99 have higher conversion rates than prices ending in one cent higher." Are you an app developer selling in the App Store? Or maybe you’re working on a premium icon set, WordPress theme or e-book to bolster your income. This info might help you come up with a good price. Read the entire report and their theory on why prices ending ".99" convert better in the Gumroad blog post called A Penny Saved: Psychological Pricing.